Tradnux Animator is a 2d animation tool designed to help people in the indie game development scene to quickly create dynamic animated character sprites for their game projects. 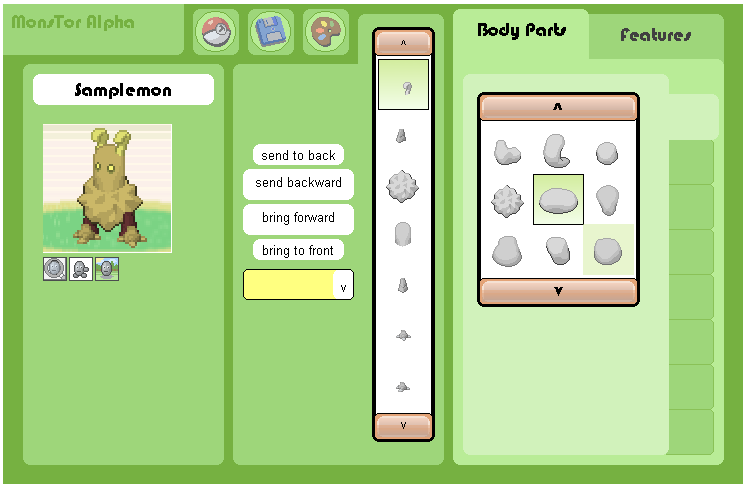 You can build a 2d character figure by adding and eventually creating a hierarchy of nodes or pivot points which you can rotate and resize, ultimately allowing you to create a body parts joined together which you can animate by simply adding frames and manipulating the pivot points. See the animated sprites samples above? Tradnux Animator can help you produce sprites and graphics like that. The Fighting Afroguy above is an example of animated polygon figure which Tradnux supports, allowing you to choose different polygonal shapes and apply color or textures to them. With this you can create “Iji” game style graphics easily. The Fighting Girl in Blue above is an example of animated sprite based figure which you can create in Tradnux Animator, this will give your character figures more detailed appearance and more flexible animations. Tradnux allows you to import images/sprites (.png and .gif) and assign them to any nodes/points. 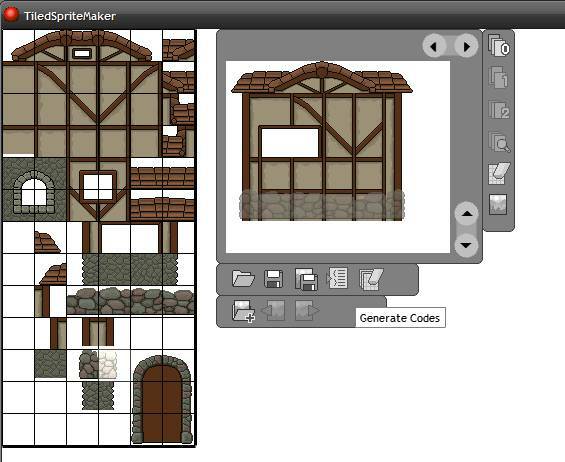 With this, you can even reuse animations and re-skin your figure with different character sprites. 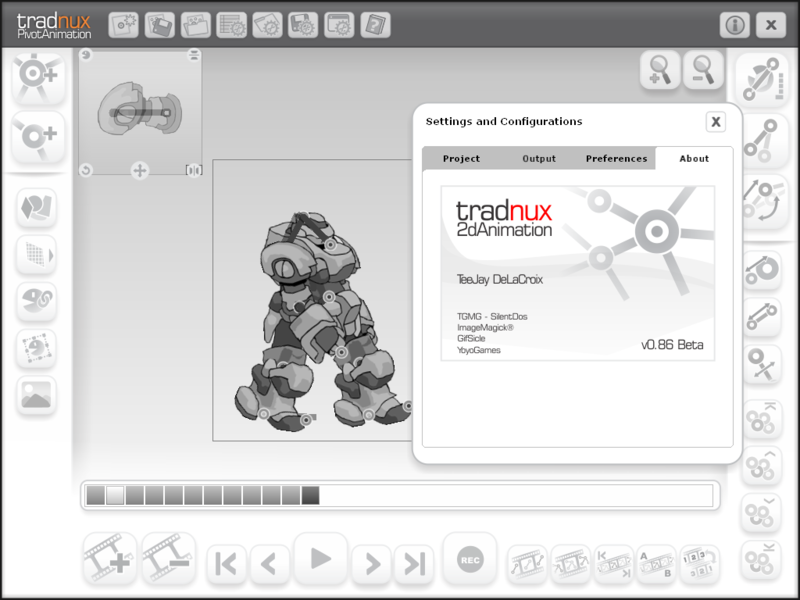 Tradnux can save/load your work, and it can export your animation into sequenced PNG files. This tool will be similar to Tahnok’s “Skeleton” tool (that, Tractimation and Pivot are my inspiration in creating Tradnux Animator) in that it has the same method of animating a structured figure. However Skeleton hasn’t been updated for many years now, it is missing on some upgrades in GM, specifically the native support for PNG for better sprite quality. I always planned on making this tool for my own use, but it will really prove helpful enough for others. This released version is the earliest beta release, most functions are not yet implemented. And of course bugs are always there, so please report them ASAP. Also excuse me for the lack of guide or examples for to get the idea on how to work with it. I will make it up to you in the next reupload. – Application window size increased to 1024 x 768. – Updated the GUI buttons. – Added Nodes Point Manager for alternative transforms control. – Implemented Animated GIF exporting (SilentDos + ImageMagick). – Fixed data file error. – Drag Image Files to screen and it will automatically create the pivot point as well. Back compatibility for saved files from this version may not be supported on future versions. There are also sample files (included in the download) you can load to Tradnux. Please try it and then give me some feedbacks; comments, suggestions, recommendations, anything. Cool free program you got there… simple enough to understand how you work on it, but do you have some demo or example files I can play with it? 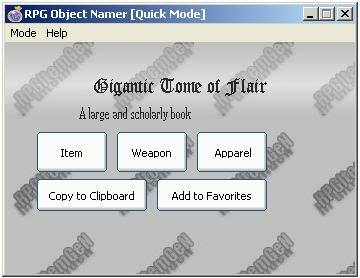 Thanks, I’ll be working on that, to provide premade examples soon. Just fine, thank you very much for your work. This is what I was looking at recently, but I did not understand whether the button is active “load background image”? The “add background” button doesn’t work yet indeed. I’ve got great plans on background handling (can be transformed every frame); this is to make it possible to animate backgrounds as well. Primarily this tool was made to produce animated sprites, but I reckon it can also be used to make an animated movie sequence. Thanks for your interest in the program. Works perfectly on Linux through WINE, great program, thanks!!! That’s cool! it works with windows 7 too with no problems, for Mac.. I’m sorry not yet, but will be in the fairly distant future. Is there going to b a newer version released? I love this app, but it won’t let me export to png files for animation frames, and you can’t set the export folder options etc.. I would love to take this over and finish it, we all need a working bone skeleton 2d sprite editor.. I have a side scroller I need this for.. Please help.. I want to load each body part, attach to bones, joints then move and take screen shots save to dir for that animation, then I can load those up in GM or Construct and make my sprite animations out of the images.. This would save me sooo much time doing each frame by hand.. Thanks for any and all help..
Hello there, I just released an update. Please check it out. Every time I mash control Z out of habit (from the amount of undos I normally perform…) I end up losing a whole lot of the “skeleton”, even if I’ve been moving points/adding frames etc since building the frame. And I can’t work out if there’s a way to get everything back once the undo has been done! I can see that the undo/redo system is on your to-do list, please implement this soon!! Otherwise, this is such a great piece of software. I can’t wait to put it to use in the future! Thanks Hana, unfortunately undo/redo functions are not very stable as of now, I removed it temporarily while I try to reprogram that function. I am working on releasing an update by next week, lots of improvements and additions… except the undo/redo functions though. Been months now… any updates? Long time no C… I love it! Really awesome work, now all we need is game maker importing and example projects for gm:studio not just gm 8.x please.. I’m hoping we can get this finished since spriter api is a no go so far for gm:studio and the people supposedly working on it are not doing much of anything until their game is done and they actually need it.. so please help! Thanks man, I hope you don’t mind Im helping you advertise to others in gm:studio forums which need your app! As spriter is turning out a disappointment with no api or way to load scml file into gm:studio only game maker 8.x thanks alot for everything Teej.. GodSpeed man! Hey, great work there. Just downloaded it. Can i get any tutorials on how to start with this. Is there any sample project?? Out of curiosity, does this program only export image sequences to be used as sprites in Game Maker, or is there a way to import the data from the animation and dynamically animated the sprites in-game to keep from having large bit-map frames for all of the animation? The next idea of update was to include an export that runs an animation made from this program. But that update never came into realization up until now due to time constraint for the development. This is the program I’ve been looking for. An easy to use, open source 2d animation that uses skeletal animation. So much more user friendly than some of the popular commercial programs (Toon Boom, Anime Studio). My biggest complaint so far is that if I Ctrl Z, the entire figure disappears. It would be nice to be able to delete a single jpeg if I make a mistake. Also more tutorials and documentation for new users. Very nicely done. I know that the undo/redo is one of the program’s “should have” function but right now that function is unfinished. Also audio tracks and lip-syncing. Why not expand it into a full on animation program? People will flock to it. I think I won’t go that far, I wish I have the time to rework tradnux animator into a free and simple animation authoring tool, but that is just a lot of programming work to pull off. Thanks for the appreciation of this tool. Is it possible to get the source code? What language is it written in?